Congratulations on your decision to move to Central Kentucky! Whether it be for business, pleasure, or military relocation, the Clinkenbeard Sales Team wants to help make your move as stress-free as possible. Feel free to contact us with any questions you may have. Now that you know a little bit about what to do in Central Kentucky, what can we do to help you out on the way here? First and foremost, we can help you establish housing. Different communities appeal to different people, although most military personnel prefer to live in Radcliff, Vine Grove, Rineyville, or Elizabethtown, because of the close proximity to Fort Knox. Take a few minutes to explore the links throughout this section and learn a little bit about each community. Whether you are interested in buying or renting, the Clinkenbeard Team has the tools to help. We assist our clients in buying, selling, and renting, and are particularly familiar with military relocations. If you would like to be contacted by a relocation specialist, you can fill out the Relocation Form in the Relocation Center on the home page. 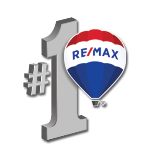 We can answer questions, e-mail personalized listings, or send you a map and a copy of the lastest Central Kentucky Homes magazine. Feel free to call us at 270-735-1659 or email us at douglas@clinkenbeardteam.com with any questions you may have. Good luck!